Myth of the greying president? President Barack Obama has a little more salt mixed in with his pepper these days. But is his silvered coif the result of stress? Probably not. The odds of hair turning grey simply ramp up by 10 to 20 percent every decade over 30. (And in recent videos created by ISIS, the terrorist group, Obama is Photoshopped to look greyer and more haggard.) 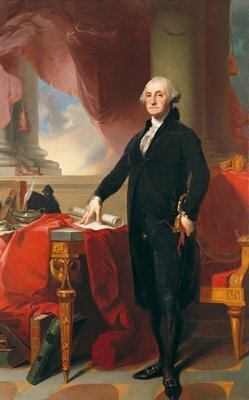 But the perception of presidential super-aging persists—perhaps because of portraits like this one of Washington, which suggests that experienced statesmen go grey. Even if they have to powder their hair.